Some of the octave stretches may present problems for smaller hands, and there are a few rhythmic challenges. But the pieces are charming, fun to play (and listen to!) and well reward the time spent learning them. 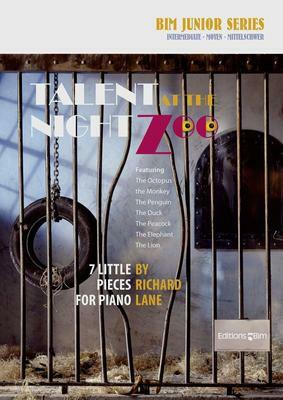 Richard Lane (1933-2004) was an American composer and pianist. Born in New Jersey, he studied piano and composition at the Eastman School of Music. His compositions include many works for piano solo, songs and chamber music, as well as larger scale orchestral works. What do you want to know about Talent Night at the Zoo?